The simple act of remembering someone, their memory, words, or deeds, I believe, is the most cherished wish of human beings. We all want to hear our names spoken with warm endearment, and to know that our life made a difference--at least to a small cluster of people. Of course, we all want to be loved, but to be remembered and honored elevates love and friendship to another proportion or magnitude. To be at a place where someone we loved did something courageous, that place becomes significant, even sacred, holy. We are never the same again because our hearts have been etched with their hopes, actions, and sensitivities. 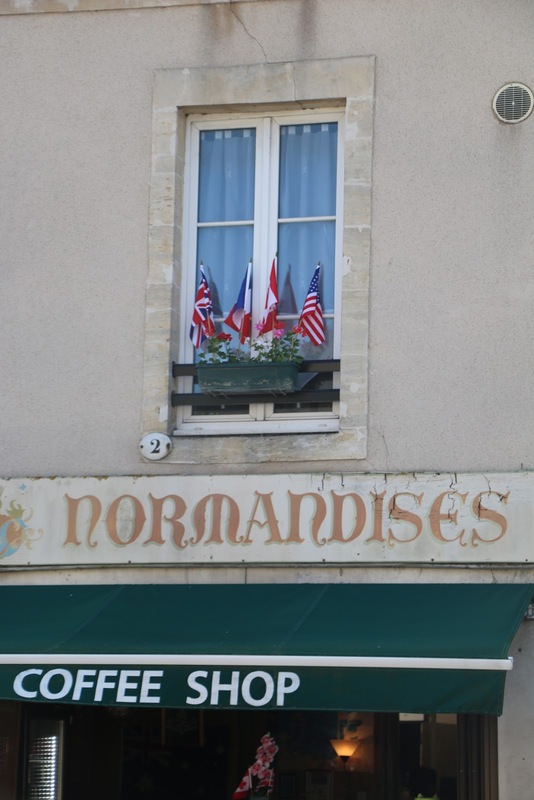 To visit Normandy, France caused my heart to tug, shift and turn. It was a week of remarkable remembrances. Normandy, France is not the typical tourist destination; it is a place that evokes bravery, determination, and yes, forgiveness. Coming to Normandy during the first week of June this year with my 18 year old son to remember and honor my father-in-law and his grandpa, H. Smith Shumway II, who landed on Omaha Beach was unforgettable. "Grandpa", as he was known to countless people, died at age 89 four years ago. I had been to Normandy with him 19 years before when I was pregnant with this son. When anyone asked me about my experience walking on Omaha Beach with my father-in-law, I likened it to going to Gettysburg with a veteran from the Civil War. Although he was blinded six weeks after he landed on Omaha Beach at age 22, he could still point out the pillboxes and cliffs to me, just exactly where they still stood. A small stone church did not escape his memory. As the early spring breeze blew on us that day, he continually said, "It is so quiet, so calm." He had lived for decades in darkness after an anti-tank blew up next to him, but that day and those six weeks before he was blinded never were erased for him. It was not until decades later that he spoke freely of those experiences in Normandy. When anyone commented that he was a part of the "Greatest Generation", he quickly declined the praise. He would tell his grandchildren that they were the "Greatest Generation"--not him. As I walked on the beach this visit with my 18 year old son next to me, I thought and remembered the many parents who had sent their beloved sons to a place that was unknown to them--far from their familiarities. I spotted graves from Britain, the United States, Canada, and Germany--some boys who were even younger than my son. Sometimes there is a point we come to when we not only remember and honor a loved one, but we etch unknown people on our hearts too. It does not matter if we knew them or not, or even if we are related. When everyone around you is remembering the courage of a certain time and place, there is a transcending, unifying feeling. Immediate friendship occurred as we embraced strangers that first week of June at Omaha Beach. Joshua Chamberlain, a brigadier general for the Union Army from Maine, U.S., is a favorite historical figure of mine. His experience in Gettysburg, Maryland are depicted in the Pulitzer Prize winning book in 1975, The Killer Angels by Michael Shaara. He wrote of sacred fields of war, and I think his words can also be described for sacred beaches, like Omaha, Juno, Gold, Utah, and Sword: "In great deeds, something abides. On great fields, something stays. Forms change and pass, bodies disappear, but spirits linger to consecrate ground for the vision-place of souls. . . generations that know us not, and that we know not of, heart-drawn to see where and by whom great things were done and suffered for them, shall come to this deathless field to ponder and dream; and lo! The shadow of a mighty presence shall wrap them in its presence, and the power of its vision pass into their souls." Lessons of Normandy: Remembering matters. Earth and heaven can intersect when we pause to reflect and remember. Bonds of unity are linked, and we are changed--not only by the act of remembering our own loved ones. Our own senses are elevated, and we begin to love and remember those who we have never known. Suddenly, their sacrifices and courage is part of our own story. Our hearts are enlarged and more complete when we take the time to remember. LT. 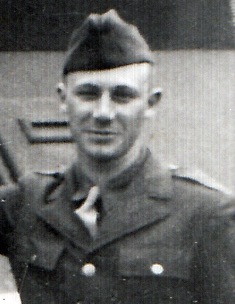 Commander H. Smith Shumway, my father-in-law, who landed on D-Day in the second wave on Omaha Beach on June 6, 1944. He had graduated from University of Wyoming in pre-med. Six weeks after landing on Omaha, he would be permanently blinded. But he lived his live with immense grace, humor, determination, and grit. He received his Master''s degree in Counseling, and was a national figure in helping the blind and deaf.. He married his college sweetheart and was the father of seven girls and one son, my husband. Thanks Grandpa for all the lessons you taught us! You are remembered every day! 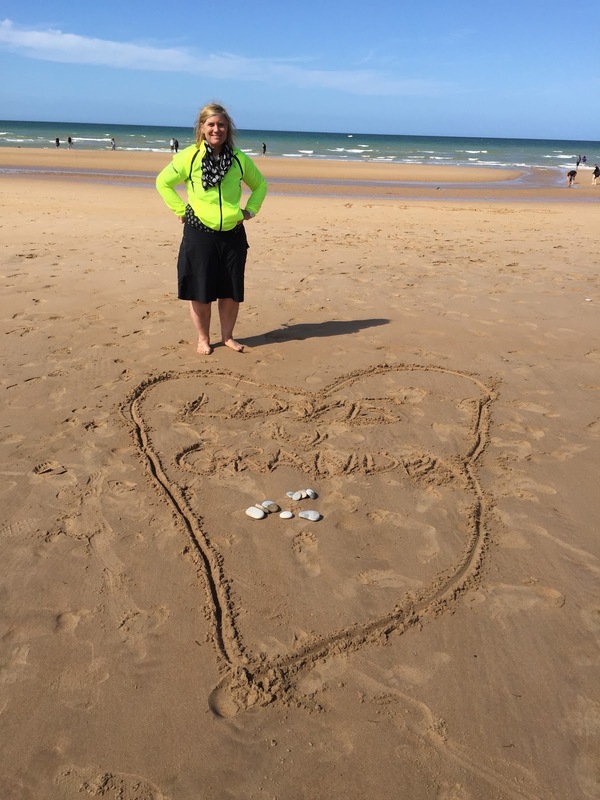 On June 6, I wrote on the Omaha Beach sand, "Love U Grandpa!" My son with some German reinactors who had come from Germany to honor the soldiers who landed on the Normandy beaches from the UK, US, and Canada. I shed a tear or two to know they had come to remember what happened between Allis and Axis powers. There was no spite or malicious feelings that I observed, only a desire to build unity on that special week. 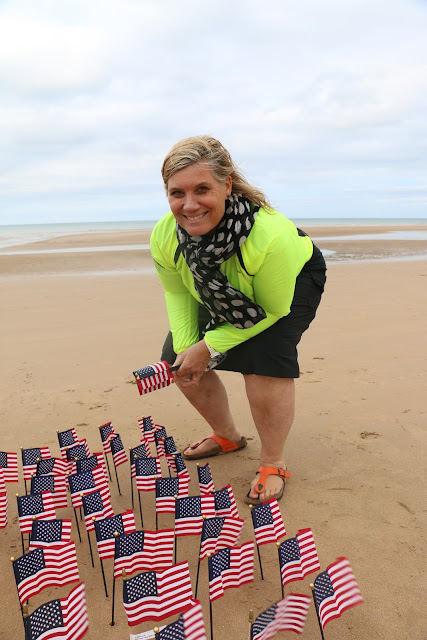 Our new friends (shown below) asked us to help them place 100 flags in the sand on Omaha Beach to remember different men who fell there. They gave me us one flag to remember "Grandpa." We met these new friends, Kent, Judy, and Steven Bow, from Michigan who were in Normandy with their son who goes on missions to play Taps with Bugles Across America. Steve Bow, from Bugles Across America, who came to Normandy to play Taps on his 1944 bugle. As the wind brushed by us that night at near-twilight, images of the men on the boats that landed on June 6, 1944 almost seemed to tap on our shoulders. World War II jeeps, cars, and motorcycles were ubiquitous around Normandy in the first week of June. Omaha Beach is in the distance. Flags and banners hung on every storefront and street in Normandy--remembering what happened 71 years ago. 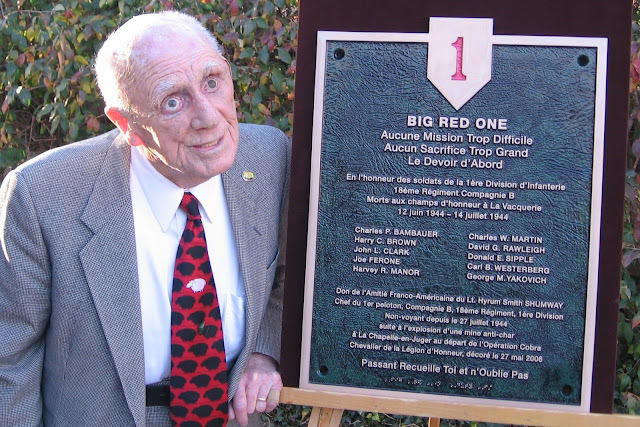 This is a plaque that honors the Big Red 1 division where Caumont was held and liberated--about 23 miles from Omaha Beach. Smith Shumway was with the division that held this town on a hill, and helped to prepare for the Cobra breakout in late July. My son, with Michal Quilles, who lives in Provence, and Bernard Marie, a man from Normandy who is now 84 years old. He remembers clearly as a 13 year old boy the invasion of the Normandy beaches. I could not get enough of their stories--people on the street and on the beaches--particularly the octogenarians and anybody who was in their 90's. The curator of the Big Red 1 Museum in Colleville-sur-Mer, where he has collected memorabilia all his life. A few years ago he met my father-in-law, and was eager to meet us too. My son with a paratrooper from Alabama whose father served in World War II. A plaque for the Big Red 1 Division that was put up in the town of La Vacquerie, France. The Big Red 1's motto was: No mission too difficult. NO sacrifice too large. Duty first! Smith Shumway was a Lt. Commander of a group of men who helped liberate this village. He was there to attend the 65th anniversary of D-Day. 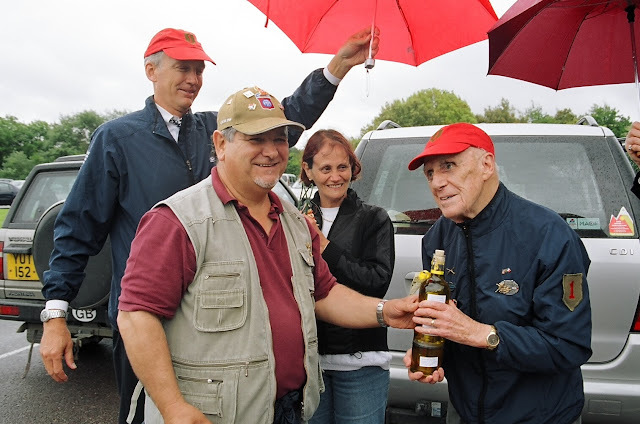 Michal Quilles giving Grandpa some olive oil from Provence, his native region. We have adopted him into the family. That is how strong the act of remembering together unifies people together. 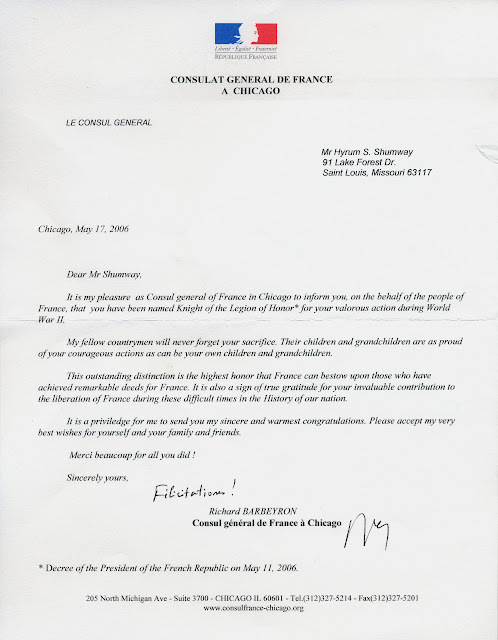 Five years before "Grandpa died", he was honored with the French Legion of Honor. 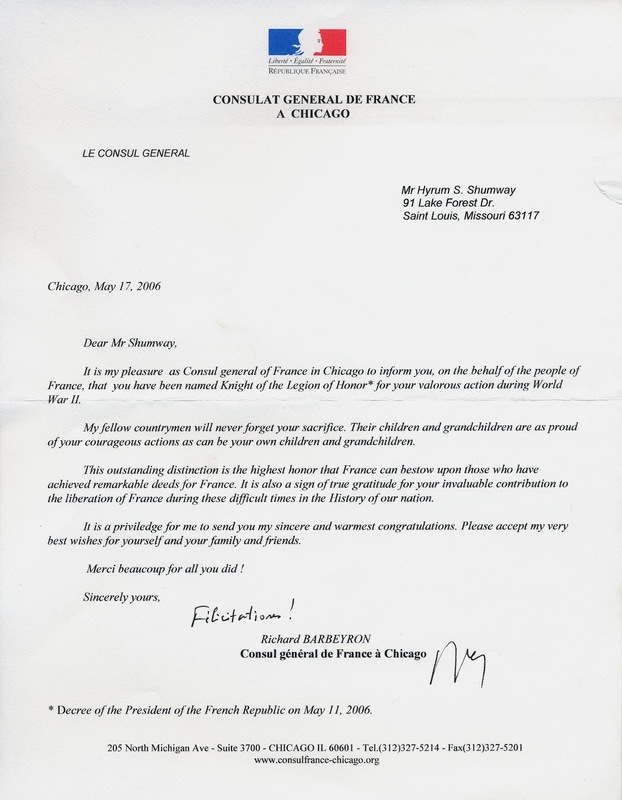 On my Normandy visit, I deeply felt that the French people had lived up to their promise in this letter, "My fellow countrymen will never forget your sacrifice. Their children and grandchildren are proud of your courageous actions, as can be your own children and grandchildren."